Kefir is one of the absolute superstars of health food, Kefir grains are an amazing combination of lactic acid bacteria and yeasts in an absolute matrix of proteins, lipids and sugars. This symbiotic matrix, (or SCOBY) forms “grains” that resemble cauliflower. What types of kefir grains would I require ? For you to best answer the above questions, here is a quick overview on Kefir Grains to help you make the most suitable decision. 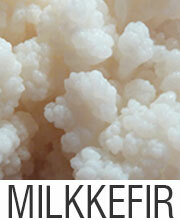 Milk Kefir Grains: A naturally occurring organism, Milk Kefir Grains originated in the Caucasus. These are white, resemble cottage cheese and have a gluey feel. It feeds on the lactose. 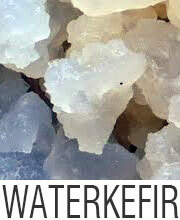 Water Kefir Grains: Water Kefir Grains come from the Meso-America. Water grains are translucent, resemble cauliflower and easily break apart under pressure. It feeds on sugar. When it comes to Fresh Kefir Grains, these gain re-balance quickly and within a few days of arriving on shipment begin producing drinkable probiotic kefir! An excellent option but only if you live within Europe and are able to immediately attend to these. 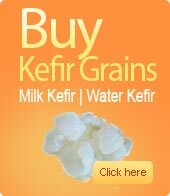 Otherwise, Dried Kefir Grains are a greater choice for you! A perfect solution if the grains are likely to be in transit internationally, this will ensure the grains is not damaged. However, these would take way longer to activate – maybe a week or more and adjust the symbiotic balance till the time frame in which it can produce a drinkable kefir beverage. This also gives the scope of a better shelf life. Of the two kind of Kefir Grains (i.e. Milk and Water) Water Kefir Grains are more difficult to revive from a dried state and may take way longer given that these are comparatively fragile. This particular website, selling Live and Fresh Kefir cultures which they are sure will last a lifetime with proper care; maintain that the kefir grains are real grains maintained on organic milk very unlike the pre-packaged kefir starters, such as Yogourmet or Body Ecology stocked and sold elsewhere. They also assure that the kefir grains retailed from their website are ready to use straight out of the packet with absolutely no failed productions or waiting several rounds for the kefir grains ( referring to both milk or water types) to become ‘active’ again. The fresh and active kefir grains cannot be shipped to international destinations. This is due to the fresh nature of Kefir cultures. Of their stock, this particular website explains that each sachet of kefir powder (and other starter cultures) can be used an average of 7 times each. It further shares that six tablespoons of previous batch will ferment 1 liter of milk. The benefits mentioned by the website is the sheer convenience and the fact that it is great for short time usage. Overall it may be a good idea to invest in fresh and active kefir grains for long term usage. Get the supplies ready: First of all, you need milk, but you should make sure that the milk is not lactose free or ultra pasteurized. Raw milk or low fat milk is preferred. Next, you would need a strainer made of stainless steel or nylon. The other supplies that you would require are a bowl, a jar, a breathable lid, a plastic spoon, vanilla or fruit extract. 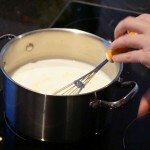 Prepare the kefir grains: In order to prepare the kefir grains, strain off the kefir milk in which they are dispersed. Then, rinse the kefir grains in a bowl with spring water or milk. Strain off and rinse again till you are satisfied. Feed the kefir grains: After the kefir grains are prepared, you need to feed the kefir grains adequately. 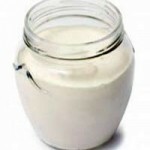 Place the kefir grains in a sterile jar and fill the jar with milk. You must ensure that the jar is large enough to have adequate space between the lid and the milk. The ideal ratio is for every 1 teaspoon of kefir grains, you need 1 cup of milk. Cover and ferment: The jar should then be covered with a breathable lid. You can use a coffee filter or a paper towel. However, do not use a cloth with large holes as it will result in contamination. You should keep the jar in a cool place. Sunlight is not required. Allow the kefir grains to ferment for about 24 hours. 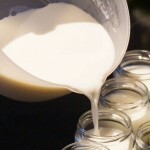 Determine if the kefir is ready: It is quite tricky to determine when the kefir is ready. Tilt the jar slightly to see whether it is gel-like or runny. If you find that it is gel-like, be sure that your kefir is ready. It has been found that fermentation is faster in summer than in winter. 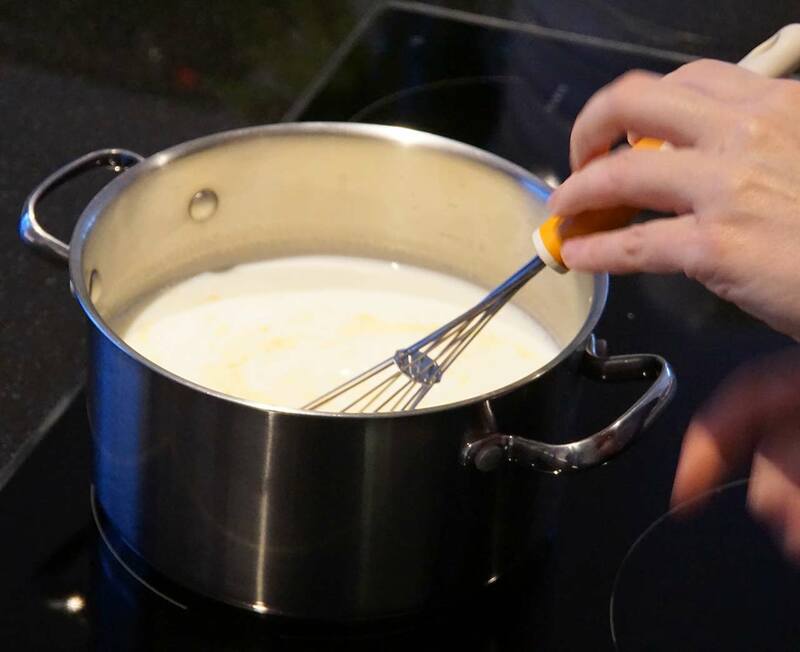 Strain the finished kefir: Place the strainer over a plastic bowl or bowl made of stainless steel. Pour the contents of the entire jar into your strainer. Allow it to strain slowly. You can use a sterile spoon to stir the kefir, so that it strains through the bowl perfectly, leaving behind the grains in the strainer. Add flavors: You can mix fruit extract with the strained kefir to enhance its taste. 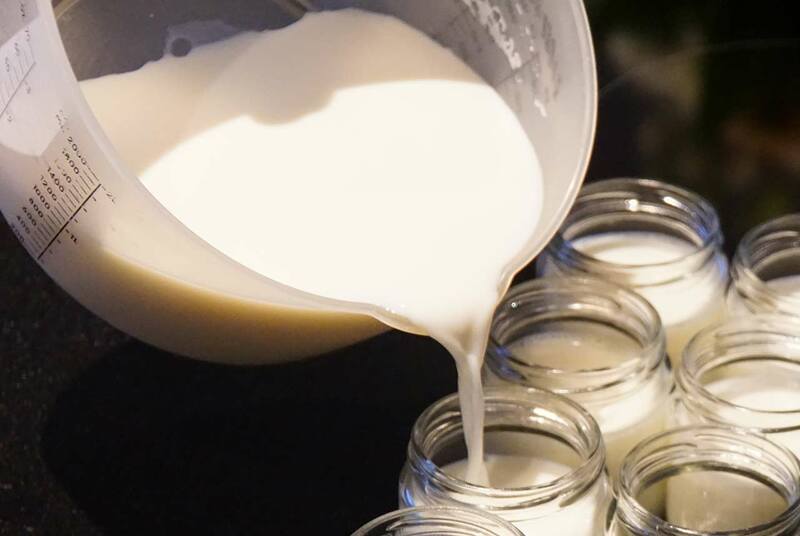 Basically, these are the 7 steps that you need to follow to make milk kefir. 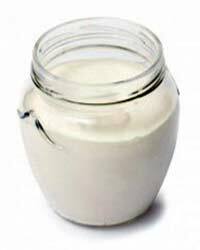 You can store the kefir grains in the jar so that so you can again feed them with fresh milk and repeat the process. Mostly, you have everything in your kitchen to make yogurt except possibly a good thermometer. It is true that the best yogurt is the one that you make yourself. Due to these four reasons, many people make their yogurt at home. It is not difficult to make yogurt at home. You can do it even without the use of yogurt maker. You would require only 7 hours and 25 minutes for making yogurt at home. You would require 25 minutes for the preparation and around 7 hours for the incubation process. 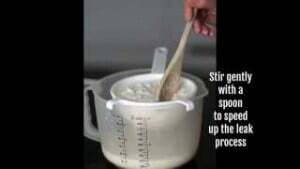 At first, a double boiler should be created using 2 stock pots. The milk should be brought to 85° Celsius. The milk should be constantly stirred to avoid formation of skin. Next, the milk should be cooled to 42° Celsius with the aid of a cold water bath. The milk should be again constantly stirred to avoid formation of skin. Now, 2-3 tablespoons of plain yogurt should be poured into the milk. It should be stirred thoroughly. After adding the yogurt, the milk should be properly covered and placed on a heating pad. It should be left undisturbed for about 7 hours. Now, the pot should be removed from the heating pad. It should be stirred well again. Lastly, it should be refrigerated overnight. By following these simple steps, you would be able to get homemade yogurt. It tastes lovely and the recipe can be further adjusted according to your preferences. Cultured dairy products are healthy and nutritious. You can find the popularity of cultured products everywhere around the globe. They are consumed in large quantities in every country. Probiotic dairy products such as cultured yogurt and kefir are loved by all people as they have tremendous beneficial properties. Kefir: Kefir is a popular cultured dairy product. When kefir grains are mixed with raw milk, kefir is obtained. Kefir grains are symbiotic clusters of beneficial bacteria and yeast. The kefir grains are spongy and small. It looks like cottage cheese. This cultured dairy product has a strikingly tart taste with effervescence. This is the reason why it takes people some time to get used to this beverage. Kefir is highly rich in folic acid and many more nutrients. The origin of kefir is the Caucasus region. It takes around 1 day or longer for the fermentation of kefir. 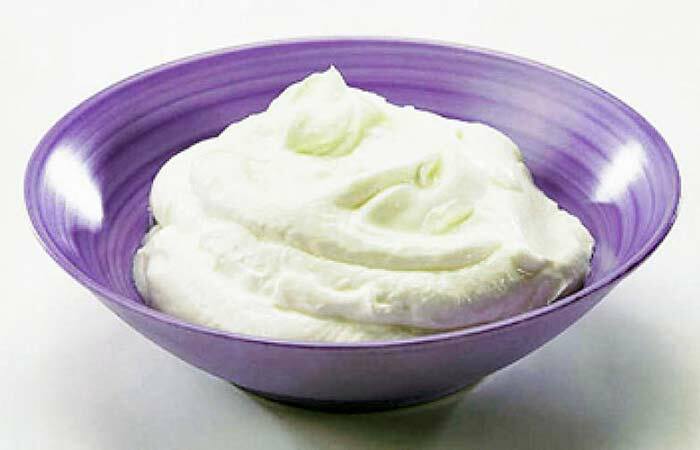 Yogurt: Yogurt is the most popular cultured dairy product which is liked by everyone. The most unique thing about yogurt is that it is a thermophilic dairy food product. In order to culture properly, yogurt requires heat. 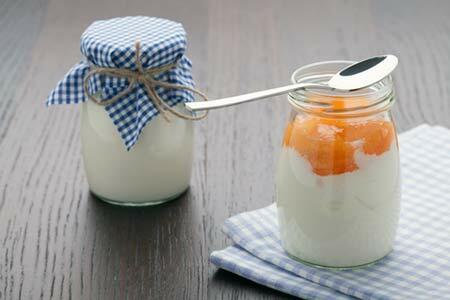 In order to make yogurt, you need to culture milk with thermophilic bacteria that is capable of producing lactic acid. The most popular strain of bacteria that is used in yogurt is Lactobacillus bulgaricus. You can use a yogurt maker to make yogurt. 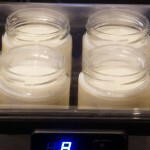 You need a starter culture and a heat source in order to make yogurt. Filmjolk: This is a wonderful Swedish cultured dairy product. It has a mild sour taste. It is a tasty cultured dairy product. In order to make Filmjolk, you need to culture it at room temperature. You do not require a heat source to culture Filmjolk. The strains of bacteria that are used to make Filmjolk are Leuconostoc mesenteroides and Lactococcus lactis. The tangy taste of this cultured dairy product is because of these strains of bacteria. Ayran: When yogurt is mixed with salt, the cultured dairy product is known as Ayran. It is a cold beverage that is extremely popular in Turkey and the other Turkic countries such as Iran, Bulgaria and Armenia. People often describe Ayran as diluted yogurt. Ayran is a great drink to consume during the summer. It is served chilled. It is a traditional and popular Turkish drink. Matsoni: It is a delicious cultured dairy product of Eastern Europe. It is said that the beneficial properties of Matsoni help in prolonging life. Some unique strains of bacteria that are capable of producing lactic acid are used to make Matsoni. Therefore, it has a mild sour taste and a slight syrupy consistency. Children love to have Matsoni especially in their breakfast. Many people also love to have Matsoni by pouring it over the fruits. Matsoni is easy to prepare as it is mesophilic. Viili: This is another wonderful, cultured dairy product. It has a Scandinavian origin. Although Viili is a popular beverage of Sweden, it is also quite popular in Finland. 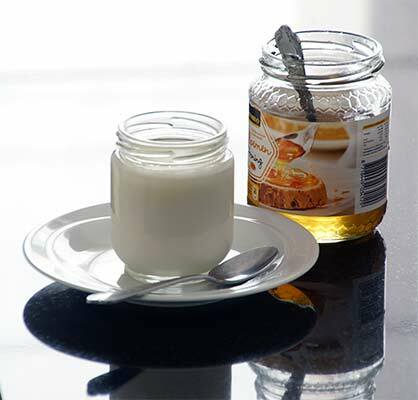 The gelatinous and ropy texture of Viili is obtained due to the combination of lactic acid bacteria and yeast. Viili has a mid sour flavor which is liked by children and people who are trying sour probiotic dairy products for the first time. Traditionally, Viili is served with gooseberry jam or any other kind of sweetener. 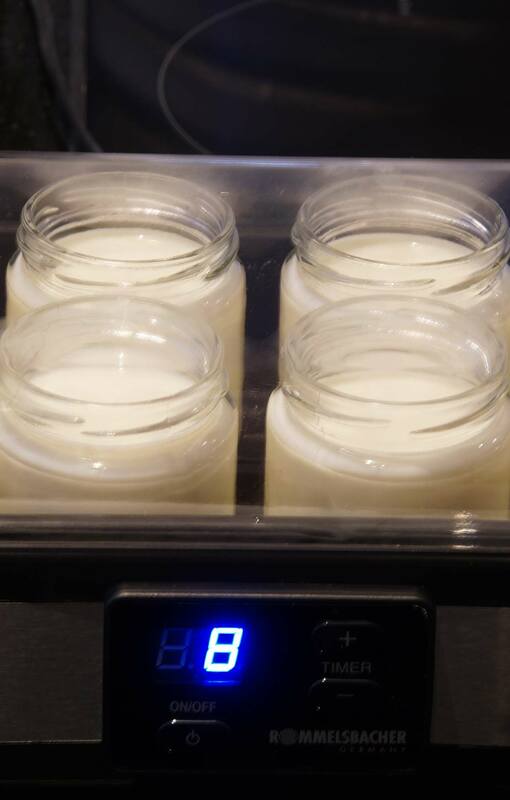 Since it can be cultured at normal temperature, you do not require a yogurt maker for making Viili. Blaand: This is a traditional and popular drink of Scotland. Blaand is prepared for many years in Scotland. However, most people have never tasted Blaand even once in their lives. Blaand generally has an alcohol content that is similar to wine after fermentation. However, if blaand is fermented for too long, then you would get an unpleasant taste. It would taste more like vinegar. Bonny Clabber: This is another traditional and popular cultured dairy food of Scotland and the Southern United States. Bonny clabber is eaten generally at breakfast with cinnamon, molasses and nutmeg. This dairy product does not require any starter. The probiotic properties of Bonny Clabber arise directly from the natural flora that is present in milk and in your surroundings. It is easy to make. You only need raw whole milk to make this cultured dairy food. So, these are the 8 healthy and wonderful, cultured dairy products that you can include in your diet to maintain good health. If you are bored with yogurt and kefir, then this is the time to try some new cultured dairy foods such as Matsoni, Viili or Ayran. How to make yogurt with a yogurt maker? At first, you need to determine the amount of milk that you would need to make the yogurt: You must read the instructions of the machine carefully to determine the amount of milk that you would need to make the yogurt. You can use whole milk or skimmed milk. Heat the milk at around 200 F / 100°C till it shows signs of frothing. Allow the milk to cool down: You should use a thermometer to check the temperature of the milk. You must allow the milk to cool down till it reaches the temperature of 105 F / 40°C. This milk is called tempered milk. Mix 2 tablespoons of yogurt culture with the tempered milk in a blender for 10 seconds: This is one of the most important steps to make yogurt. Allow the yogurt culture to mix well with the tempered milk in a blender. This will allow the lactic acid bacteria to get evenly distributed in the milk, which will cause fermentation of the milk. Pour the starter culture in the remaining tempered milk: After pouring the starter culture in the remaining tempered milk, stir constantly for about five minutes. Read the instructions: On buying a yogurt maker, you will get an instruction booklet. You must read the instructions properly after transferring the milk containers inside the yogurt maker. Jiggle one of the milk containers after about 8 hours: After about eight hours, jiggle one of the milk containers to find if the yogurt is ready. You will understand if the yogurt is firm by jiggling the container. Put the container in the refrigerator: When you are sure that the yogurt is ready, take out the container from the yogurt maker and place it in the refrigerator. Allow the yogurt to cool down. You can add additional flavors to the yogurt at this stage. Save a part for the next batch: You can save a small amount of the yogurt for the next batch. If you follow these 9 simple steps, you would be able to make yogurt with the yogurt maker at home. As kefir was normally the drink for adults (at least for the diet conscious Soviet women) – Ryazhenka, popular also as the baked milk was exclusively for the children. Ryazhenka is the other and the traditional Russian (some say Ukrainian) fermented dairy product. Ryazhenka when mixed with one spoon of sugar, used to be the treat for a Soviet child. Sometimes Ryazhenka is translated to be baked milk because for preparing it you need to bake the milk in the low heat oven. Dairy products have always been one of the major highlights of the Russian cuisine, and there is quite a good list of products which are not easily found in U.S. but are pretty common here. Two of them are the kefir and the Ryazhenka. Kefir resembles a cross between the milk and the yogurt, with a slightly chunky texture, and bears a sharp bite on it. It is prepared by using a bacteria culture for fermenting milk, and historically, people made this at home only. However, now a day most of the Russians buy packaged kefir from the grocery store. Ryazhenka is similar to taste like the kefir but is milder. It is not as sharp, but a bit sharper than the plain yogurt, and it possesses an impressive smooth texture. Kefir is thus pure white in colour, while the Ryazhenka bears a brown tint. The reason behind it is because Ryazhenka is normally baked fermented milk. It was made historically by baking fermented milk in any oven or with low heat on a stove for long hours, but then again, the Russians today just purchase it from a grocery store. Ryazhenka is made by pasteurising the milk and later simmering it on the low heat for as long as eight hours or even longer. Historically, it was prepared by placing one clay pot (or the glechik) with the milk in a traditional Russian oven for one whole day till it has been coated with the brown crust. Prolonged exposure to the heat causes a Maillard reaction between milk’s amino acids and glucose or sugars. This results in the evolution of melanoidin compound that offers a creamy color with a caramel flavor. As a result a good amount of moisture evaporates, this results in a change in the consistency. In the household method of production, the sour cream (smetana) is added subsequently to trigger the fermentation. In the modern industrial production, the pure thermophile bacterial culture has been added instead. The mixture is then placed in a warm place. The fermentation takes place at temperatures above 40°C / 100°F and takes about three to six hours. The fat content of the industrially made Ryazhenka is typically 3.5−4%, however, in general, it’s permitted to vary from <0.5% (if prepared from what we know as the skimmed milk) up to say 8.9%. The protein content is a minimum 3%. The carbohydrate content, generally about 4−5%. Like the scalded milk, Ryazhenka is also free of the harmful bacteria and the enzymes and may be safely stored at room temperature for at the most- forty hours. Bulgaria is the country with the surprising rich yogurt history. Greek yogurt since long has been the rage and it is hard to recall what type of subpar yogurts were being spooned down earlier. For having delicious Bulgarian yogurt, you need not make trip to the distant land of Bulgaria just for the sake of yogurt, however you are totally welcome for doing so if you desire. All that you will need is to lay the hands on the unique Bulgarian yogurt starter with a genuine lactobacillus bulgaricus within it. Luckily, with this article, you will get exactly the product you seek! Many often ask if it actually is true that Lactobacillus Bulgaricus bacterium is only found in Bulgaria. The right answer is no, not at all – you will be able to grow this bacteria in any part of the world (as a matter of fact many do). What is surprising and unique about the Bulgarian strain is that only in Bulgaria, the quality is preserved in other generations of this strain, in other words, if you have been using the past yogurt for initiating the new batch. If you have been following the process of making your yogurt in anywhere other than Bulgaria, outside Bulgaria, you will soon be able and notice that after one or two batches, the yogurt loses the original unique taste and flavour, physical appearance also the qualities. Why this happens is yet unknown to scientists. Quite often it is referred to the distinct climate of this region, but there is much more when it comes to creating the ideal conditions for the Lactobacillus Bulgaricus rather than the environment. So, now the question is, how can you create your own Bulgarian yogurt miles apart from home? The answer is however pretty simple – by using any dried and frozen yogurt starter culture with the live Lactobacillus Bulgaricus which had been produced in Bulgaria. On using a new culture and reach batch of your yogurt you get to preserve the uniqueness of taste along with the actual qualities present in a yogurt. And gradually this way you could achieve that familiar taste of kiselo mlyako, very much similar taste wise to the one that our grandmothers used to prepare. If you have already got the ultimate and true “Bulgarian yogurt starter”, you could share the information here and help others with the facts and detailed of yogurt making tips. Health-conscious souls have for long touted the advantages of yogurt. But at present, many who had turned to yogurt are embracing it in the Greek way. Few foods are as healthy as it in such small servings as is Greek yogurt. 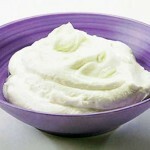 A bowl of the Greek yogurt keeps one fortified with the essential nutrients and helps you to lose weight. For Greek yogurt lovers, richer the texture bigger the sell. Greek yogurt separates out liquid whey in the making, explains dietitians. This results in the thicker texture with fewer sugar and carbohydrates and more protein. Both Greek and the regular yogurts are made of the same ingredients – milk and the bacterial culture. Both even use same bacterial culture (Streptococcus thermophilus and Lactobacillus bulgaricus). The bacteria ferment the lactose (milk sugar) present in milk and produces lactic acid. Different strains of bacteria bear different processes of fermentation, and have slightly different products, but the end result however is lactic acid. Thus some strains of bacteria can produce fermented yogurt, which is acidic, and bitter/sour. Post fermentation liquid whey is strained from solid yogurt. Regular yogurt ought to be strained twice, as a result, there’s some liquid left behind as the end product. But Greek yogurt is always strained thrice, so maximum liquid is removed. This gives Greek yogurt the thicker and stronger flavor with consistency. Greek yogurt happens to be more “concentrated,” it contains more protein when compared to regular yogurt. This protein is always left behind within the solid yogurt in the process of straining. The whey contains helpful sodium, calcium, and carbohydrates. In fact, much volume gets lost during extra straining and it typically takes four cups of raw milk for getting a cup of Greek yogurt, whereas it takes one cup of raw milk to receive a cup of regular yogurt. Vitamin B12, essential for energy and brain function is found in Greek yogurt. Greek yogurt comes to probiotics. These probiotics are microorganisms like bacteria and yeast. Normally they live in the intestines, and microorganisms in the intestines helps the health. As we age, we need protein for keeping the skin healthy and fight illness. Greek yogurt boosts the protein level avoiding the heavy food like meats.